﻿ Irish Film Institute -STF: IT CAME FROM CONNEMARA!! There will be a post-screening Q&A with director Brian Reddin. 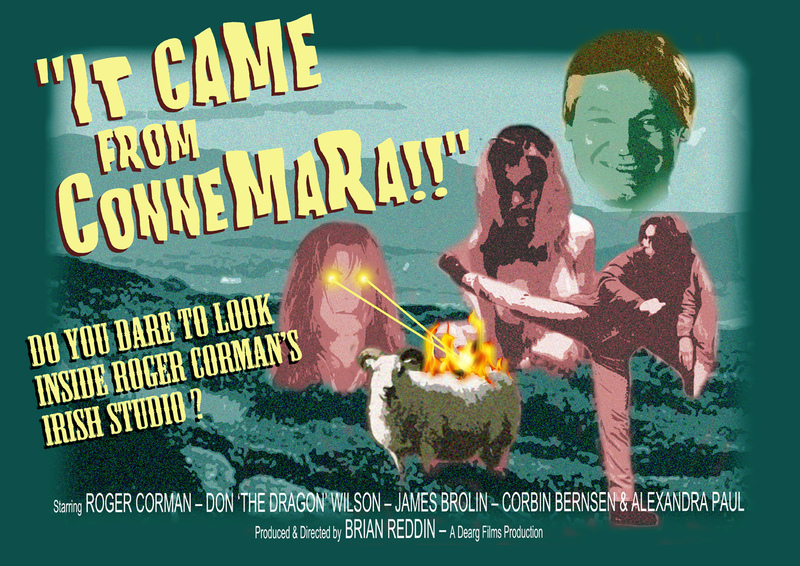 This is the incongruous tale of when legendary Hollywood B-movie producer (of films like Swamp Women) Roger Corman created a studio in Connemara in the mid-1990s. In five years here he produced close to 20 feature films with Irish crew and Hollywood actors. Corman’s time in Ireland was somewhat controversial though, as he upset unions and the tastes of cinephiles. Meanwhile those who worked for him adored the experience. It Came from Connemara!! lovingly tells this fascinating and often amusing story, using the testimonies of those who were there to make it happen.